Kevin Hall at the 2008 BMW Charity Pro-Am at Thornblade Golf Club. 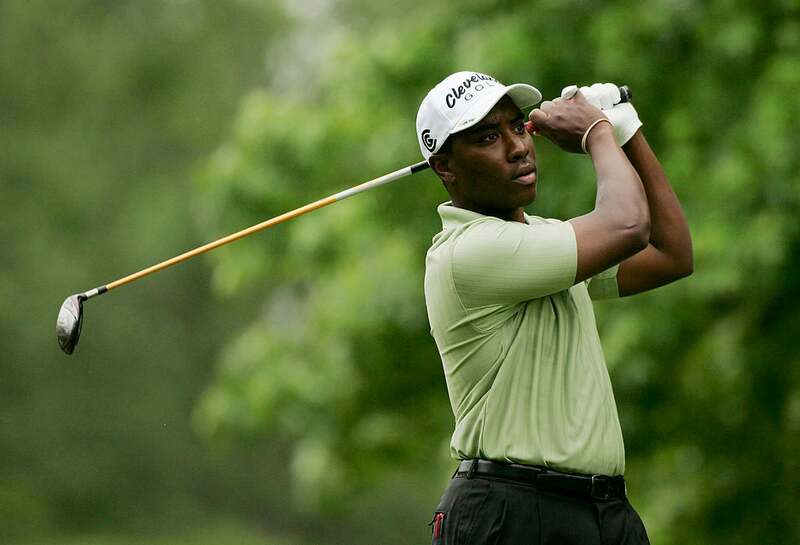 Kevin Hall, who has been deaf since the age of 2, will play at Tiger Woods's Genesis Open through the Charlie Sifford Memorial Exemption, which is awarded to a golfer of minority background to play on the PGA Tour. The 34-year-old Hall, who plays on mini-tours, lost his hearing as a toddler because of meningitis. Despite the obstacles, he was never deterred from pursuing golf. "Quitting golf isn't a choice. Golf is my passion. Whether it's hard or easy, it doesn't matter. It's inside me, and it's something I want to keep," Hall said in a 2006 New York Times interview. He played golf in high school and became one of the best junior players in Cincinnati, eventually playing for Ohio State and becoming a Big Ten champion in 2004. The Sifford exemption has special meaning to the host of the Genesis, Tiger Woods.​ Woods and Sifford, who passed away in 2015, had a tight bond, with Woods referring to Sifford as "the grandpa I never had." Sifford was the Jackie Robinson of golf, breaking down barriers of discrimination in the sport in the 1950s and 1960s. “I’m incredibly proud to honor my hero Charlie Sifford through this exemption into the Genesis Open," Woods said. "His sacrifices as a pioneer for golf allowed me to play the game." According to Golfweek, Hall met Woods at a golf clinic hosted at the Glenview Golf Course in Cincinnati when he was a teenager. Woods gave him swing advice and made a memorable comment to the aspiring golfer: "Tiger then looked at me and said 'See you on Tour someday,'" Hall said. Despite the superstardom of Woods and the progress made by pioneers like Sifford, professional golf still lacks diversity. African American golfers in particular are vastly underrepresented. In 2015, Harold Varner III became just the second golfer to earn a PGA Tour card since Woods, following Joseph Bramlett. Varner also received the Charlie Sifford Memorial Exemption in 2014.